Memorial websites help the bereaved with their healing and grieving but events have shown that in the absence of regulation, a Code of Ethics is needed to ensure the needs of the bereaved are always put first. A website memorial is a personal expression of feeling and memories and the person creating the memorial needs to be totally confident that they can control who and what goes on their site and they need to be able to trust whoever maintains it for them. 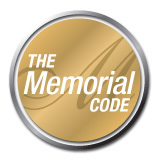 After a call to action in Summer 2007, the Website Memorial Code has been established by leading service providers in order to provide basic principles and guidance in relation to the creation of memorial websites. We hope and trust that the Code will help to support moves to ensure that bereaved people are protected and respected when they consider creating an online memorial in memory of their loved one.